Shopping unbeatable used cars at Chevy of Naperville has never been easier or more fun. While the prospect of shopping for a used car generally turns most people green, when it comes to used cars in Naperville, your trusted Chevy of Naperville dealership has flipped the script. For consumers in and among the fifteen suburbs of greater Chicagoland, Chevy of Naperville is the ideal destination for all cars pre-owned and pre-loved. Remember that plaid jacket-wearing smarmy used car salesman who probably sold you your first car. You won’t find him at Chevy of Naperville. Nor will you find any semblance of the stereotypical used car salesman persona. The team at Chevy of Naperville is committed to its customers, motivated to create the best possible shopping experience and foster lasting relationships with its community. How does Chevy of Naperville differ from other used car dealerships? To start with, the team at Chevy of Naperville works diligently to ensure customer satisfaction, guided by the principle that all customers who enter the doors of the dealership are considered the “lifeblood” of the business. No wonder customers at Chevy of Naperville report feeling like a priority before, during, and throughout the length of their used car purchase. Thanks to increasing demand, the used car industry has been forced to evolve and that evolution has proven to be a great thing for used car customers. Like we said, the cliched car salesman cannot be found at Chevy of Naperville, but as time marches on, it’s hard to find him anywhere. That kind of salesman – and that kind of used car sale – is no longer en vogue, not that it ever was. Competition has phased both out, leaving behind a used car industry that is actually concerned with keeping customers happy and providing used cars that are more like new than the clunkers and lemons often associated with used cars. Now, the used car shopping experience more closely mirrors shopping for new cars and is accompanied by more assurances and protections than one might expect. In fact, there are several paths to purchasing a new-to-you car, depending on your needs and preferences. The best part is you can get started from wherever, whenever you’re ready. Chevy of Naperville presents its extensive used car inventory online, so you can scroll, click, and research any of the available models, according to your specifications. Not sure what you’re looking for? Take a peek at the “Over 30 MPG” offerings, or the selection listed under the “Pre-owned under $10K” page. Another option lists used cars under the “Factory Pre-owned Collection,” which includes a range of vehicles which began their lives on the road as GM lease, rental, and company vehicles. In order to be featured in this collection, these cars must have less than 37,000 miles on their odometers. Keep in mind, Chevy of Naperville doesn’t actually have these cars physically in stock; however, if you find your ideal used car among this inventory, let the team at Chevy of Naperville know. Once you do, they will purchase the car on your behalf and then sell it to you directly. Once again, Chevy of Naperville goes the extra mile to make its customers a priority. Purchasing from the “Factory Pre-owned Collection” is just another way that Chevy of Naperville has refined the used car shopping experience, by offering you another path to securing your used car purchase. Already have a car that you’d like to trade in, or put towards the purchase of another used vehicle? Great idea. The sales team at Chevy of Naperville is more than willing to consider your current ride against your next purchase. In fact, you can “Value Your Trade-in” on the Chevy of Naperville website in order to give yourself an idea of what your vehicle might be worth and how much it will possibly help you with your next new-to-you, pre-loved purchase. Speaking of pre-loved…there is another prospect in the used car world that you might want to explore, particularly if you’ve ever experienced that sinking feeling that can only mean one thing: buyer’s remorse. Thankfully, Chevy of Naperville has a method for ensuring that those feelings stay in the past, where they belong. Ready for some extra protection and assurance with your next used car purchase? Why not consider a certified pre-owned car? What is certified pre-owned? Don’t worry – it’s not a clever marketing ploy. Certified pre-owned is not a fancy phrase for “used.” On the contrary, in order for a used car, truck, or SUV to be considered “certified pre-owned,” it must first undergo an extensive inspection by certified mechanics. 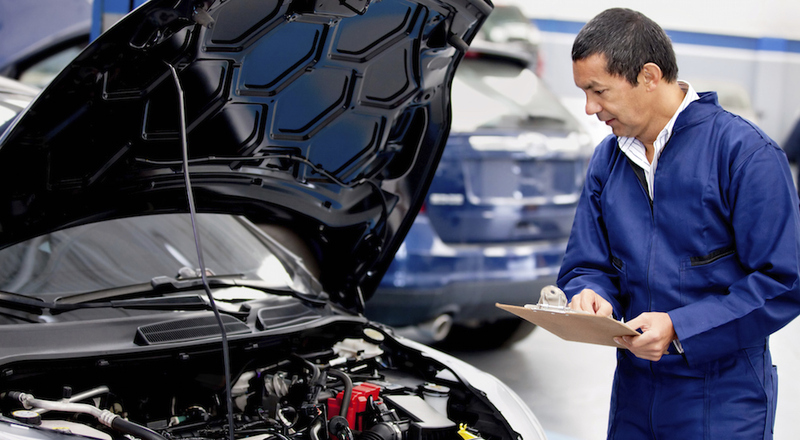 In the case of Chevy certified pre-owned cars that inspection includes 172 points and can only be performed by Chevy trained and certified technicians – in other words, the experts found in the service department at Chevy of Naperville. The beauty of a certified pre-owned vehicle is once it passes that rigorous inspection, it can be sold with a range of protections in the form of warranties, similar to purchasing a new car. With respect to Chevy, those insurance perks add up to one of the most comprehensive benefits packages across the entire automotive industry. How comprehensive? Well, first of all, Chevy certified pre-owned vehicles come with the added protection and consumer confidence that can only be provided by a newly extended 6-Year or 100,000-Mile Powertrain Limited Warranty, which also includes Roadside Assistance and Courtesy Transportation – fully transferable with $0 deductible. Another inclusion that Chevy customers have come to love is the 12-Month or 12,000-Mile Bumper-to-Bumper Limited warranty, which comes further backed by Chevy of Naperville’s own CPO Scheduled Maintenance Program, as well as a 3-Month trial of Chevy’s exclusive OnStar emergency services, and a 3-Month introductory offer of SiriusXM Radio’s infotainment subscription. You can see how Chevy’s certified pre-owned options pretty much eliminate the possibility of ever experiencing buyer’s remorse again. Another protection afforded by these vehicles is Chevy of Naperville’s Vehicle Exchange Program, which affords customers three days or 150 miles – whichever comes first – to bring their certified pre-owned vehicle back to the dealership and exchange it for another GM model. It’s probably obvious, but still worth mentioning, that all certified pre-owned Chevys come backed by a CarFax comprehensive and complimentary vehicle history report, listing former owners, complete maintenance history, and damage the vehicle might have incurred prior to your purchase. 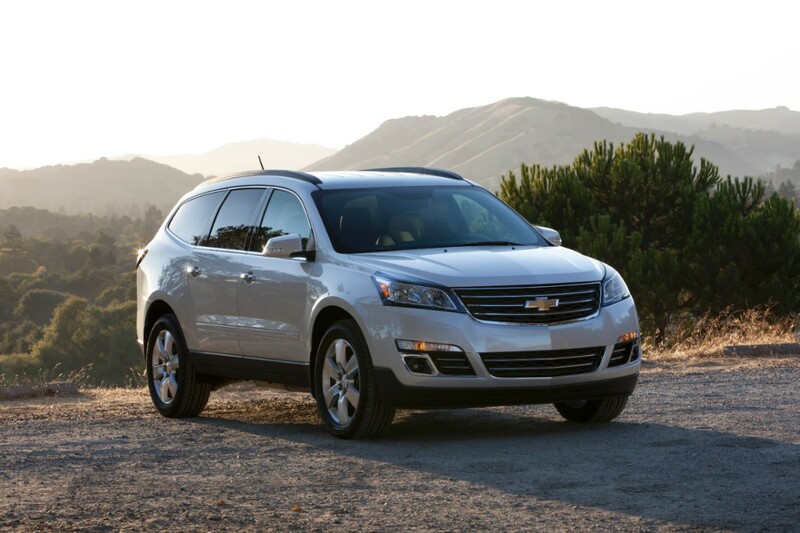 Whether you opt for a traditional pre-owned or certified pre-owned car, truck, or SUV from Chevy of Naperville’s used car inventory, you can rest assured that your purchase will be supported down the road by an outstanding service department, staffed by professionally trained, Chevy-certified technicians. Of course, we hope you’ll never need to schedule repairs, major or minor, but if you do, the Chevy of Naperville service department has you covered. More than likely, however, the team can count on seeing you for regularly scheduled maintenance and service, per Chevy’s recommended service schedule found in your owner’s manual. Of course, even without the owner’s manual, Chevy of Naperville’s service department knows all Chevy models inside and out, and can tell you when and what kind of services your vehicle needs, simply based on the mileage and the manner in which you drive it. Take a minute to visit the Chevy of Naperville website and give the sales team a call at 844-716-2013 to determine a time that best suits your schedule for an in-store walk-through and maybe even a test drive. After all, that’s where the fun begins. Chevy of Naperville is available to help you make your next used car purchase whenever you’re ready between the hours of 9 am. to 9 p.m., Tuesday through Friday, or on Saturday from 9 a.m. to 6 p.m.
Hope to see you soon and get you behind the wheel of one of the best used cars in Naperville.